Christmas is situated near the beginning of the tree dormancy period, this year from December to April, the period in which it is best to plant new trees. If you would like to order an Orchard Pack as a gift, don’t delay! 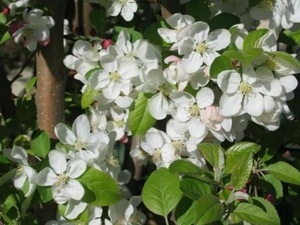 But it is more practical to give a Gift Token, which can be exchanged for trees at any time withiin six months from the date of issue.. A great way to give someone a gift that will last for years and years, producing beautiful blossom and scrumptious fruit! Just contact us for further information on our gift tokens.